On May 15, 2010, after 210 days at sea and more than 22,000 nautical miles, 16-year-old Jessica Watson sailed her 33-foot boat triumphantly back to land. She had done it. She was the youngest person to sail solo, unassisted, and nonstop around the world. 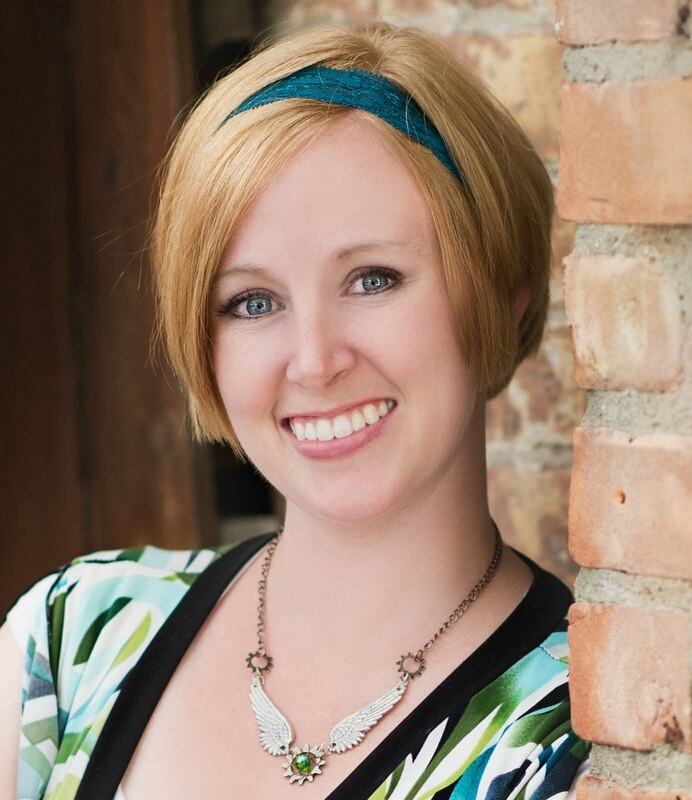 Jessica spent years preparing for this moment, years focused on achieving her dream. Yet only eight months before, she collided with a 63,000-ton freighter. It seemed to many that she’d failed before she’d even begun, but Jessica brushed herself off, held her head high, and kept going. 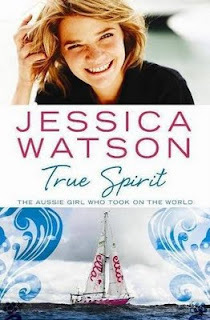 Told in Jessica’s own words, True Spirit is the story of her epic voyage. It tells how a young girl, once afraid of everything, decided to test herself on an extraordinary adventure that included gale-force winds, mountainous waves, hazardous icebergs, and extreme loneliness on a vast sea, with no land in sight and no help close at hand. True Spirit is an inspiring story of risk, guts, determination, and achievement that ultimately proves we all have the power to live our dreams—no matter how big or small. I'm a dreamer, like most writers are, so I love when I hear about people who are living their own dreams. When I first heard about Jessica Watson, she had just left Australia to begin her sail around the world. I followed her blog (who knew you could blog from the middle of NOWHERE with a satellite connection??) every week throughout her journey, and when she came home, I cheered. I bought her book, True Spirit, as soon as it was out. Jessica wrote the book herself, using her blog entries for parts of it, and it rings with her enthusiastic teen voice. That's what I want to talk about today: enthusiasm. Jessica was only 16 when she sailed solo, non-stop, and unassisted around the world. I remember thinking, how the heck can a teenager be able to do that? It wasn't an easy journey, even before she set sail. She worked her tail off for years, improving her sailing skills and finding sponsors. She had numerous set-backs, some of them big enough to nearly derail the entire project. But she never gave up. Why? You can hear it in her voice. It's her enthusiasm. She didn't just work hard, she loved working hard. She relished every moment and didn't let herself dwell on her defeats. Partly because she was determined, but partly because she was so excited and enthusiastic about her goal. After reading this book, I think it's her enthusiasm as much as her hard work that helped her achieve her dreams. So, my friends, what are your dreams? Are you enthusiastic about them, or just going through the motions? How do you maintain enthusiasm in the face of your own set-backs? Check out my reader's reaction here. I've been thinking a lot about getting into the head of a teenager lately. This sounds like a great book to read. I felt the same way about the mom being crazy. I'm sure it was REALLY hard for her to let her daughter chase after her dream. The dream is still to be a full time writer who can afford to provide for his family. That's all I ask for. I never heard of this girl or her awesome journey. Thanks for bringing this to my attention. So inspiring! I saw this on the news. What an incredible adventure, something I'd be terrified to do at any age! This book sounds awesome! I think I need to go buy it right now. I love stuff like this. I think you are absolutely right. You a really can't accomplish much with a goal and enthusiasm. If you aren't passionate about it, it's really a waste of time. Thanks for sharing this. I'm seriously going to the bookstore now! I really need to read that book! It sounds amazing. My dream is to spend as much of my life at the beach as possible. And yes, I am enthusiastic about it. But not as much as this girl. What an amazing person! This book sounds amazing. Would love to read it. I loved reading about Jessica's journey. Even in the midst of the storms or the Cape Horn fiasco or whatever, you're right--she never wavered. She still BELIEVED. Her folks are like, "you could stop now" and she WOULD NOT. She believed she could do it and yep, she was enthusiastic! Somehow I missed seeing the book--but I'm fixing that right now! passion and enthusiasm go a long way toward realising our dreams. If we can hold onto those things then we can weather any storm. Enthusiasm is absolutely key! Absolutely. This book sounds fantastic, and now you've got me wanting to go out and get it. i remember this story, and i remember when they thought she was dead for a while. sounds like a good read! This is going on my TBR list ASAP!